A Kinetrol USA Northeast Distributor uncovered a great application at a local WWTP. The process fluid is water with some entrained grit and is extremely wet and dirty. 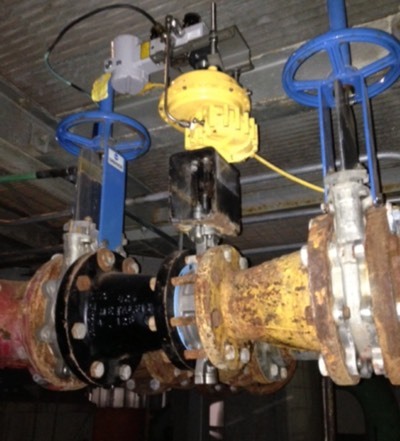 Existing Fisher spring-diaphragm (side-mounted on high performance butterfly valves) provide less than desired control and required much maintenance. They retrofitted this application with a Kinetrol size 08 with spring return and a top-mounted Smart positioner.